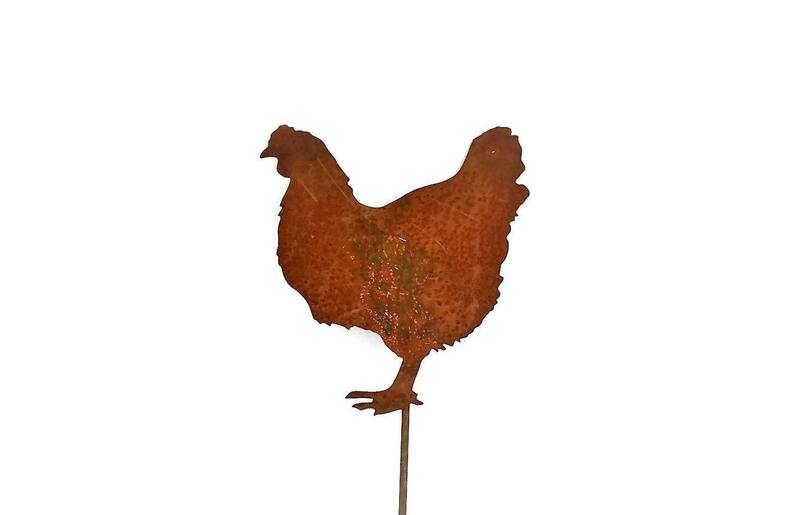 Rustic Chicken Stake is perfect for your farmhouse or chicken coop! Size is large enough to use in the landscape. But it fits great in a flower pot as well! Makes a great gift! 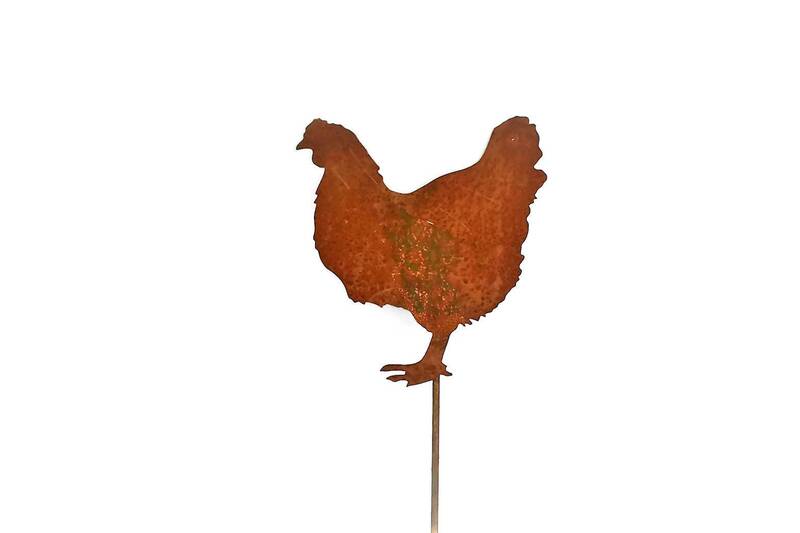 Adorable chicken is roughly 10" tall plus the metal stake for a total height of 22" tall. Light-weight stake is built strong! 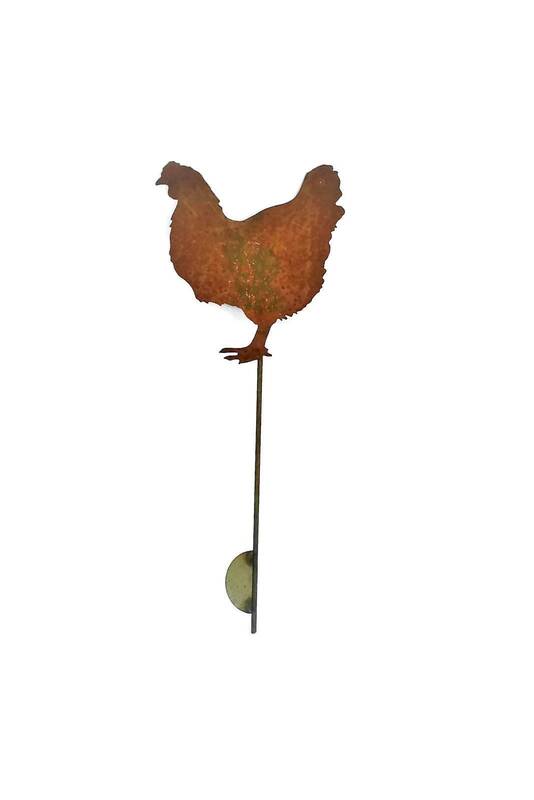 This rusted chicken stake will add the perfect charm to your landscape or garden. We hope you love this squirrel stake as much as we loved creating it! All of our products are made by the two of us, in our own shop. 100% made in USA and made to last! Love it. 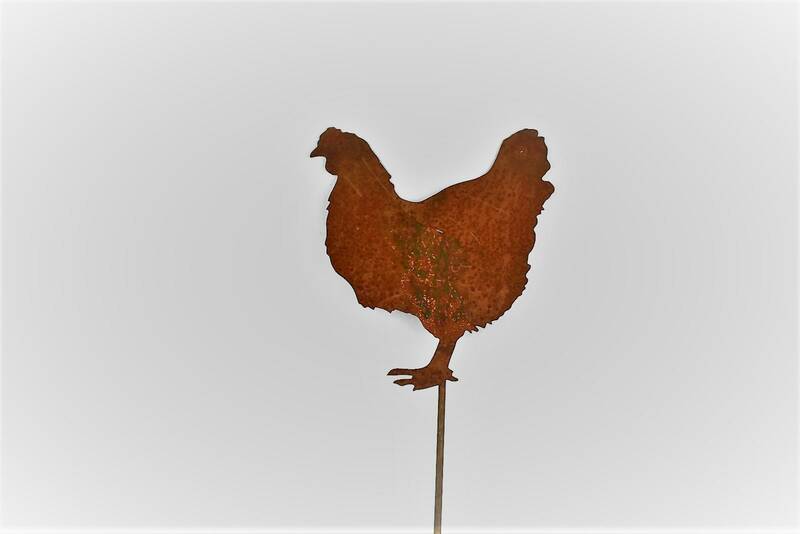 Great addition to my garden and coop area.